Laser deposit slips are an excellent way to save time and money while getting the most out of accounting software such as QuickBooks. When you use these easy-to-read and highly detailed laser deposit slips, you'll never have to worry about miscommunication at the bank. 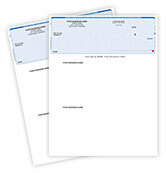 Laser deposit tickets go hand-in-hand with your laser business checks. 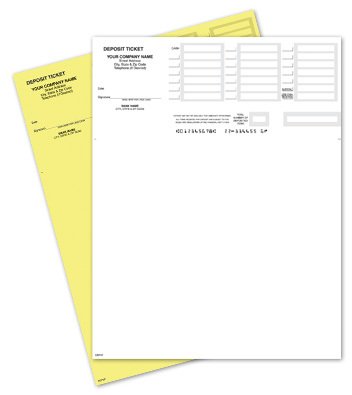 Choose from one-part or two-part carbonless deposit slips. 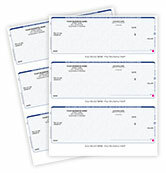 These laser deposit slips are ready to be personalized with your business and bank information. That means a little less work you have to do, and extra time to focus on what's important! Please be aware: Some accounting software, such as Quicken, does not include the ability to print deposit slips. Make sure your software includes this function before you order. 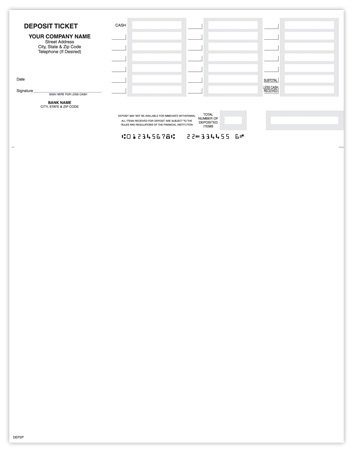 Order your own Laser Deposit Slips today!